X-tra, x-tra…read all about it. 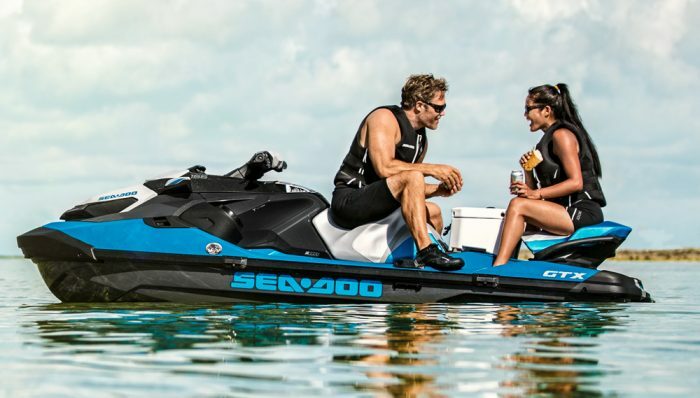 Sea-Doo reserves the brand’s legendary “X” for special models. 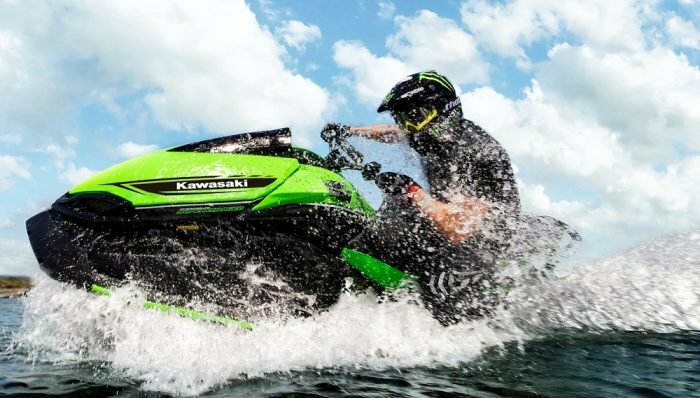 They’re X-treme, typically in both performance and handling. That combination, however, often comes at a high price. The GTR was an attempt to bring the performance of flagship models to craft at a more affordable price point. Now for ’17, the GTR-X 230 retains that original mission, but introduces two new twists. 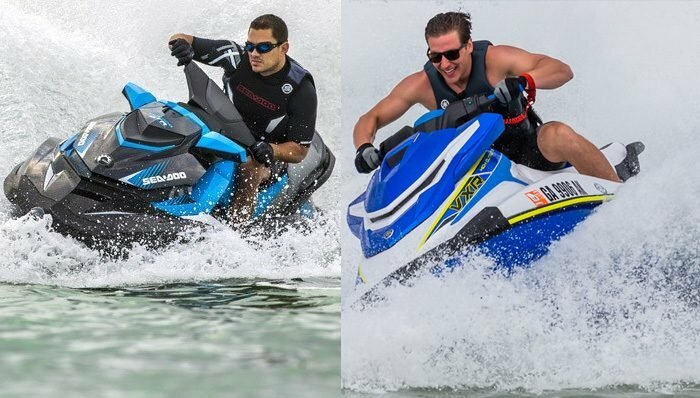 At first glance, the GTR-X 230 looks more like the RXP-X 300 than the familiar GTR. It should. That’s essentially the RXP-X top deck above, just now mated to the GTR hull below. The idea? 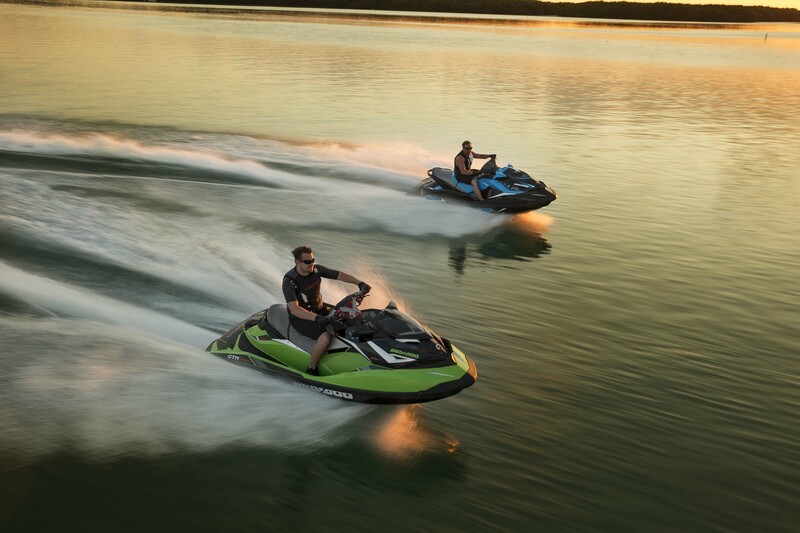 According to Sea-Doo reps, to bring the adrenaline rush and high-performance of the flagship model, along with the confidence of the ErgoLock system, to buyers at a lower price point. 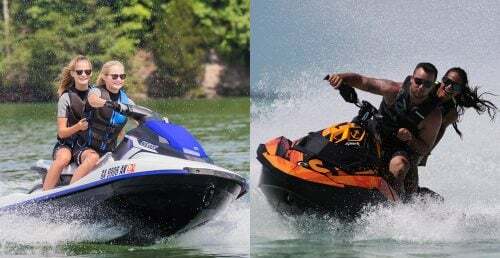 That and to bring a slightly lower horsepower engine and less aggressive hull to those customers who may have found the RXP-X 300 to be a little too aggressive. The deck features the familiar ErgoLock features introduced on the RXP-X. The saddle narrows in hourglass fashion to allow the rider to bring their legs closer together, and wedge their feet outward against angled chocks in the footwells. This allows the lower body to take more of the load during aggressive turns, as the bigger muscles alleviate the amount of strain normally placed on the weaker upper body. Handlebar angle and width is fine-tuned via the AES, Adjustable Ergonomic Steering. Look closer, however, and observant types will note it’s not the exact deck from the RXP-X. 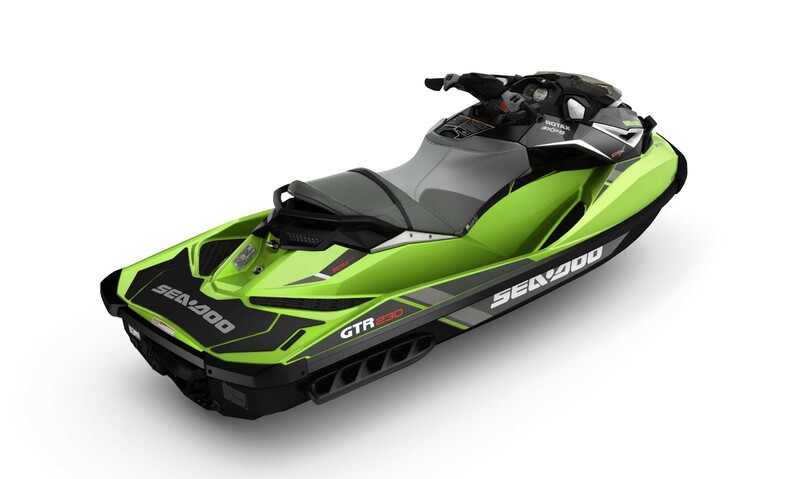 Sea-Doo introduced a new upper-deck construction process for the GTR-X (likely to expand to additional models in 2018), a thermofilm-based finish that is said to be more resistant and have more flex than gelcoat. Known as CM-Tech (closed mold technology), the process replaces gelcoat with multi-layer thermoformed sheets of acrylic ABS, placed into the mold before the fiberglass is injected. 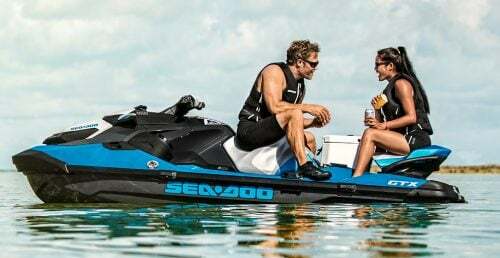 Sea-Doo says the process produces a finish more durable and flexible than gelcoat, drastically reducing the chance of spider cracks and reducing the number of decks that get rejected. It’s also reportedly easier to work with during the finishing process, requiring less buffing, wet sanding, etc. The closed-mold technique produces a new smooth, finished surface on the interior. As to exterior paint, it seems to look subtly different on the new material. At the Florida-based press intro, the boat’s California Green Metallic seemed to have more depth than gelcoat models. As to the 230 in the name, that comes from Twist #2, an all-new engine. 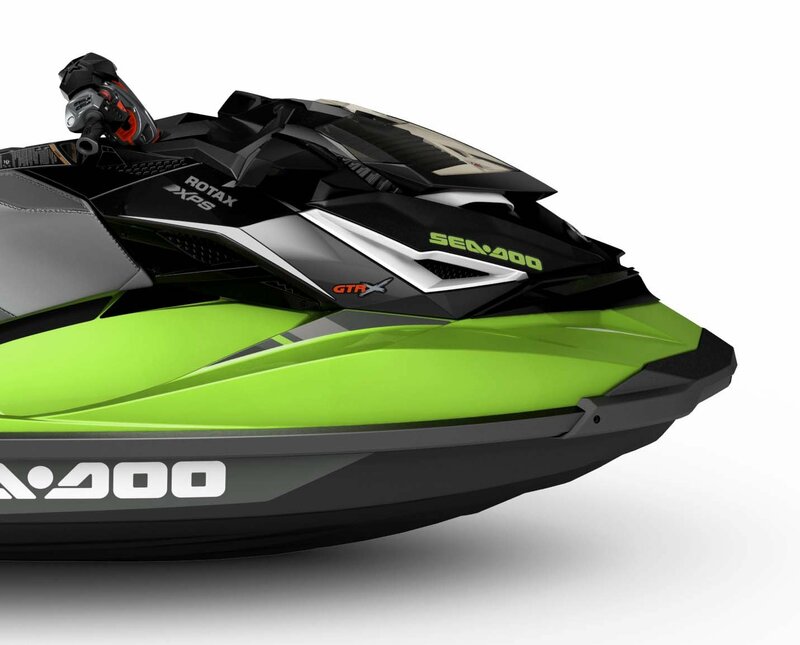 The Rotax 1500 HO ACE is an inline three-cylinder that replaces the former Rotax 215. 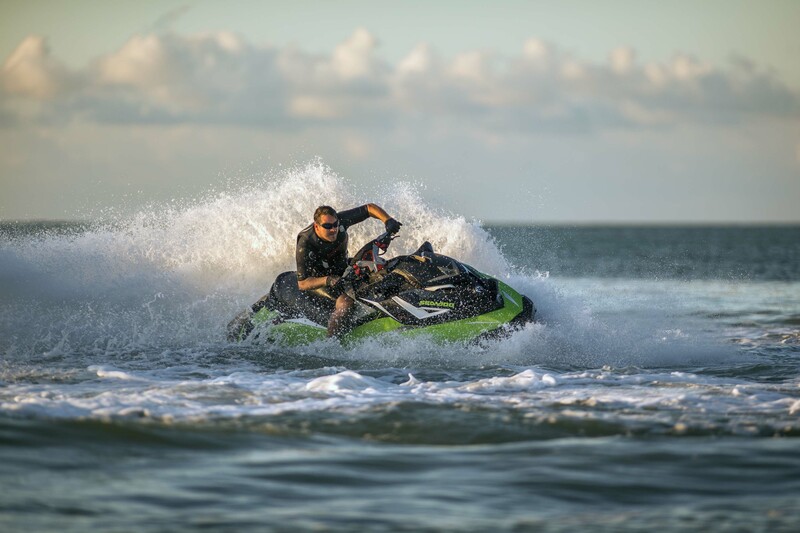 The base of the engine is essentially lifted from the 260, with much of the top from the 1630 ACE introduced last season on the new 300hp models. 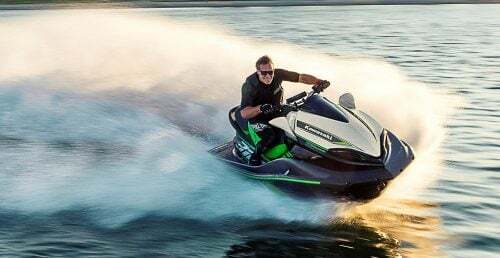 Specific changes include a redesigned, four-valve-per-cylinder cylinder head, new combustion chamber, improvements to exhaust and intake porting, and the plasma-coated cylinders introduced last year. Ditching the pressed-in iron sleeves not only reduces friction and improves heat transfer, but drops weight. The engine also gets the 300’s maintenance-free supercharger, possible because of the dynamic balancing process at the factory. The external intercooler is also said to offer 75% better cooling capacity than the previous 215 design. The engine has been optimized for regular unleaded fuel. Our test opportunity on Tampa Bay was far from ideal, with high heat, high winds and considerable chop. Still, the GTR-X boasted aggressive acceleration en route to a top speed of 66.9 mph. It’s the craft’s handling, however, that is perhaps more worthy of column inches. Remember, that’s the GTR hull below. 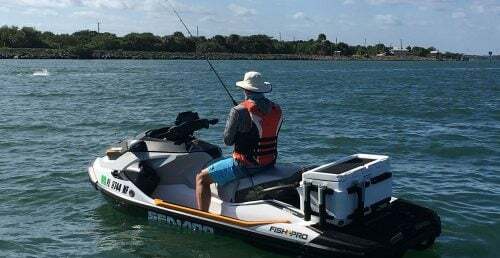 You may feel like you’re on the RXP-X above, but crank a turn unprepared and you’ll remember fast just how loose and playful that hull can be. Once you get your bearings, the multiple personalities are quite fun. ErgoLock lets you “lock” in for aggressive cornering with the proper trim angle (make good use of the high-performance electric trim and its two presets) and weight distribution, but also to stay secure when doing more playful maneuvers. 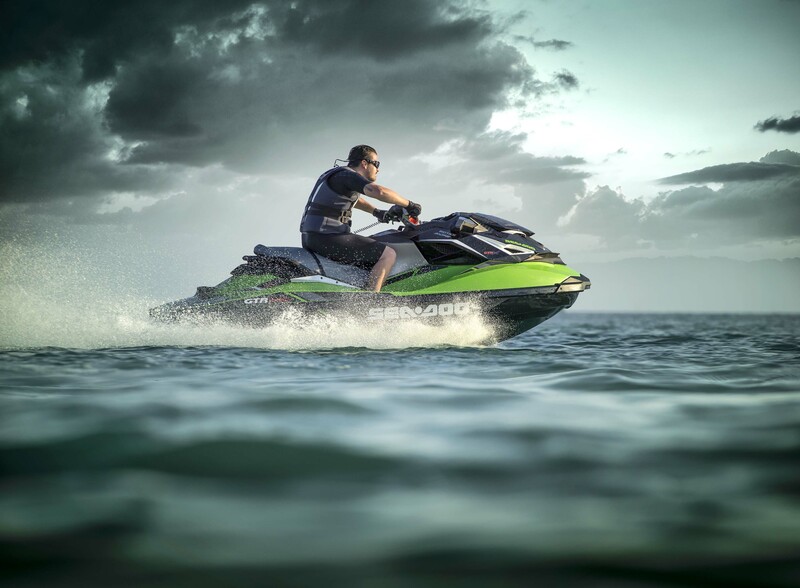 As to features, the GTR-X retains the familiar Sea-Doo hit list. 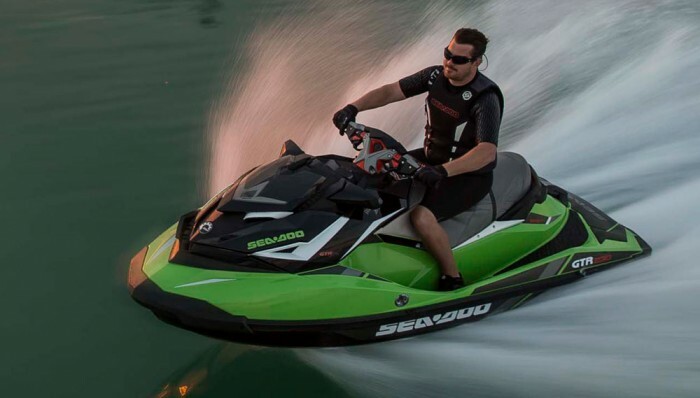 Touring and Sport acceleration modes are available to tailor engine response, ECO mode saves fuel, Intelligent Brake & Reverse makes for precision handling around the dock at slow speeds as well as braking power at high speeds, and the digitally encoded security key can serve to “lock” the craft or be swapped out for a second key that will tame top speed. Of note in that list is iBR, which now enters its second generation. The system is now lighter and responds quicker between settings. Ultimately, however, the GTR-X will sell not for these extras, but for the power and RXP-X-inspired style it now offers at a much lower price point. 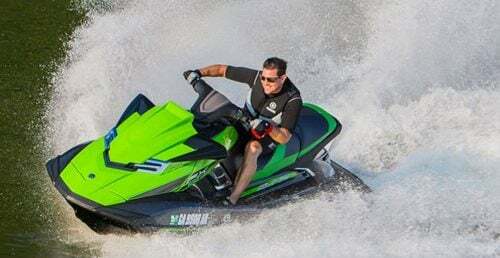 It’s not the extreme machine that the RXP-X is, but instead a more fun, playful version of that iconic craft that should appeal to a wider audience. Combined Stowage Capacity 30.7 gal.